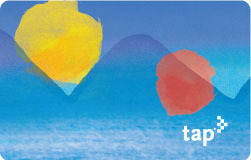 Buy online at taptogo.net or by phone at 1.866.TAPTOGO. Passes loaded this way must be purchased at least 48 hours (two days) in advance of use. 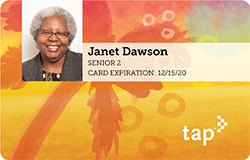 When buying online or by phone, you can also take advantage of TAP’s Autoload feature, which automatically loads your 30-Day pass or stored value. 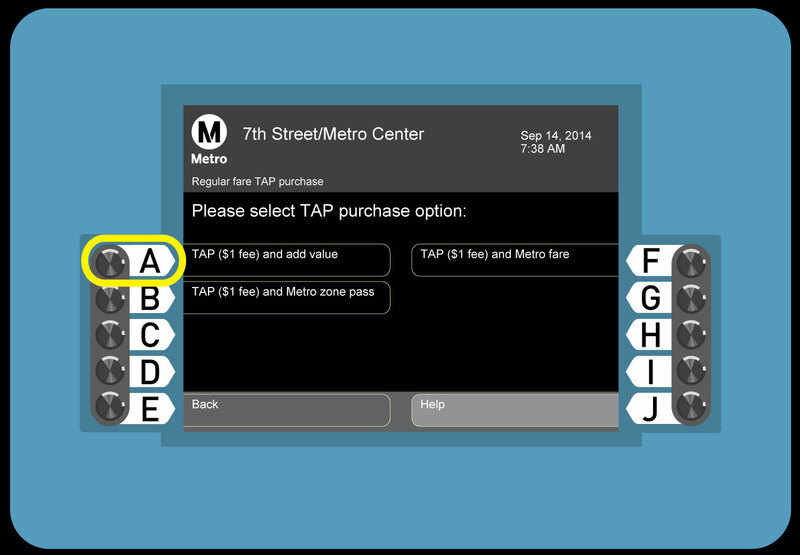 Select "Add value or pass to TAP"
Tap your card on the TAP target. Select desired pass or stored value amount. Insert money or credit/debit card. 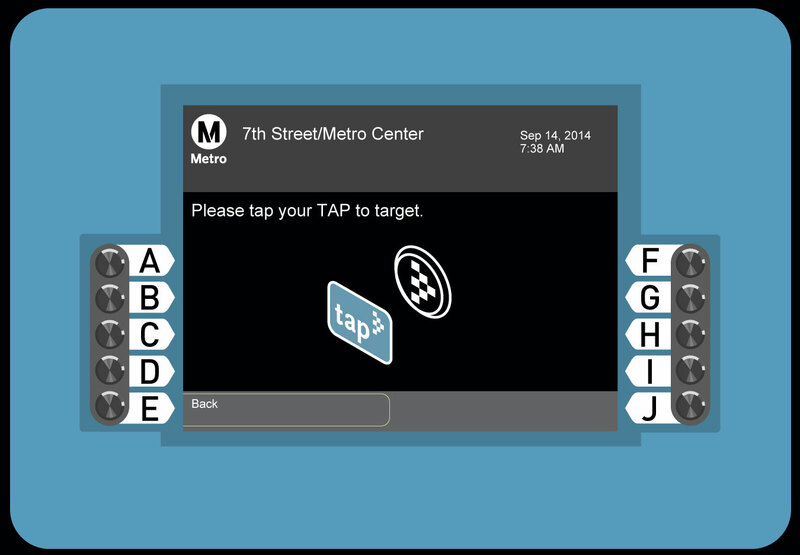 Tap your card on the TAP target again. 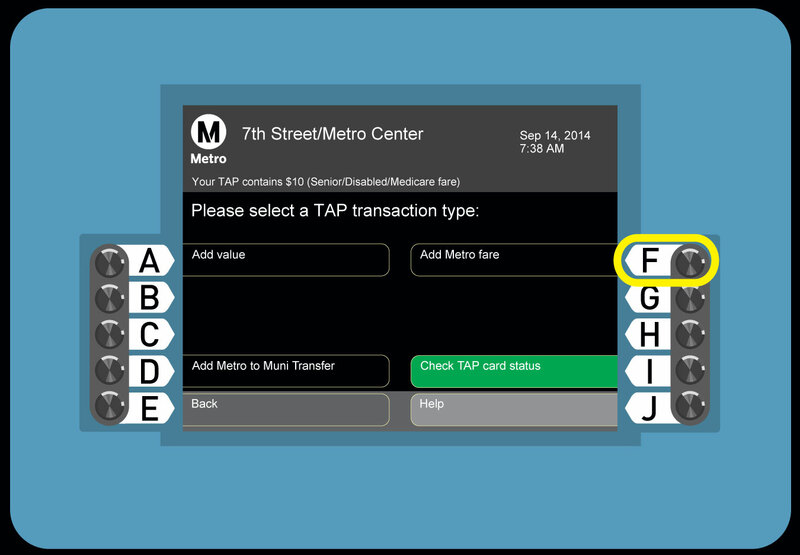 This will ensure your TAP card is loaded with the new pass or stored value. 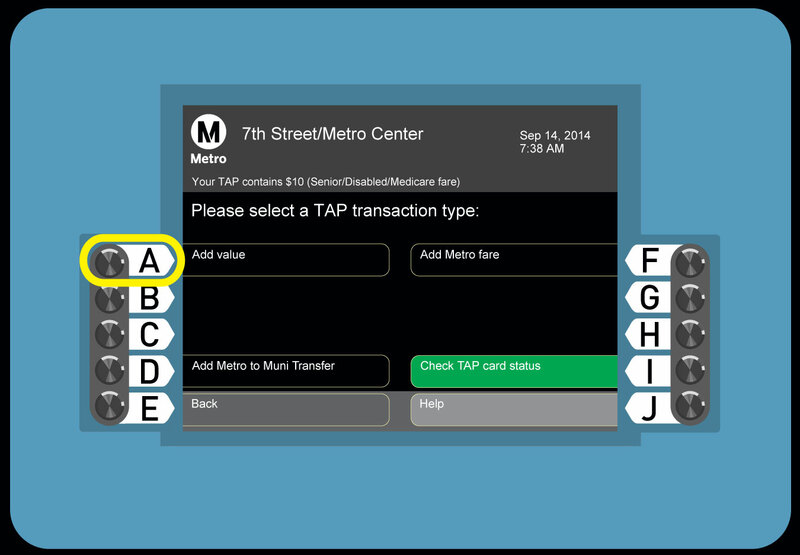 Here are step-by-step instructions to help you purchase your desired fare at a TAP vending machine (TVM). 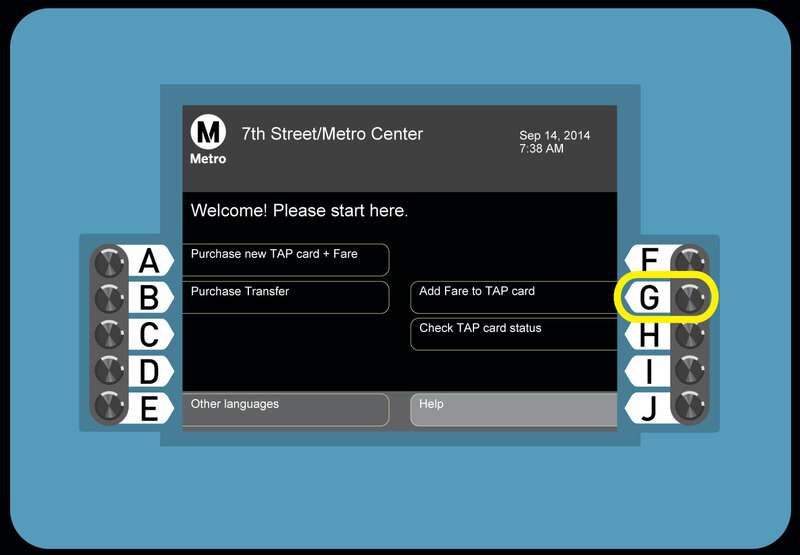 View the steps as a slideshow. 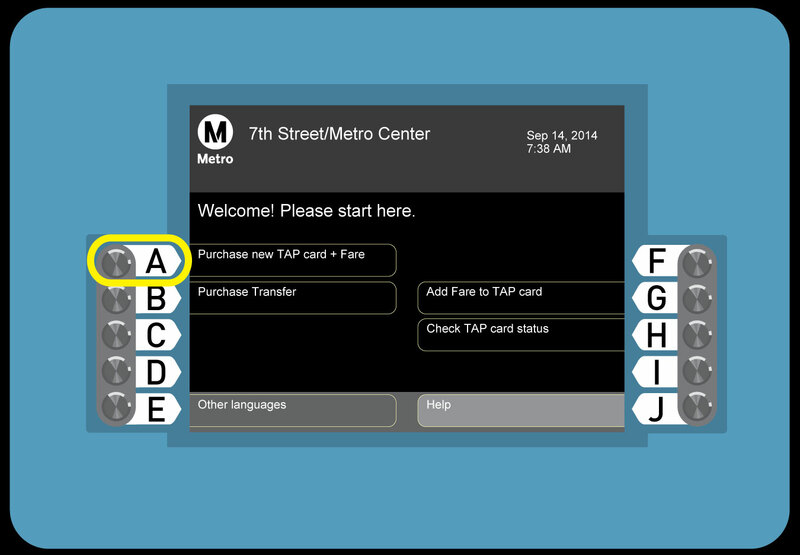 Or, if you want to view offline later, you can download a PDF. 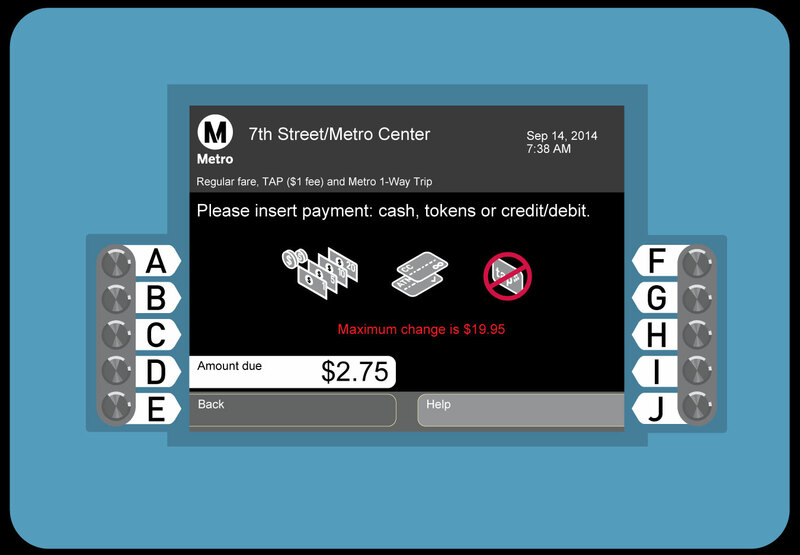 Includes two hours of transfers for Metro buses and Rail. 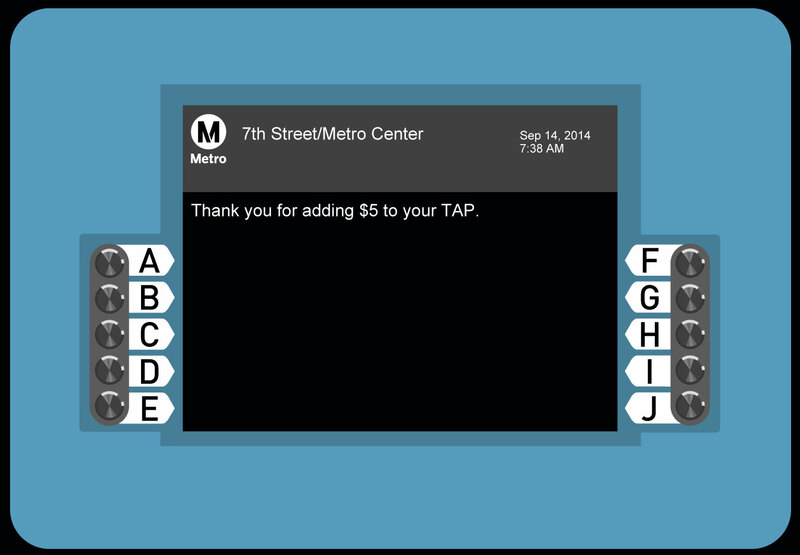 Activated on first tap and valid until 2AM following day. Stored Value is money on your TAP card that is accepted on 24 transit systems. 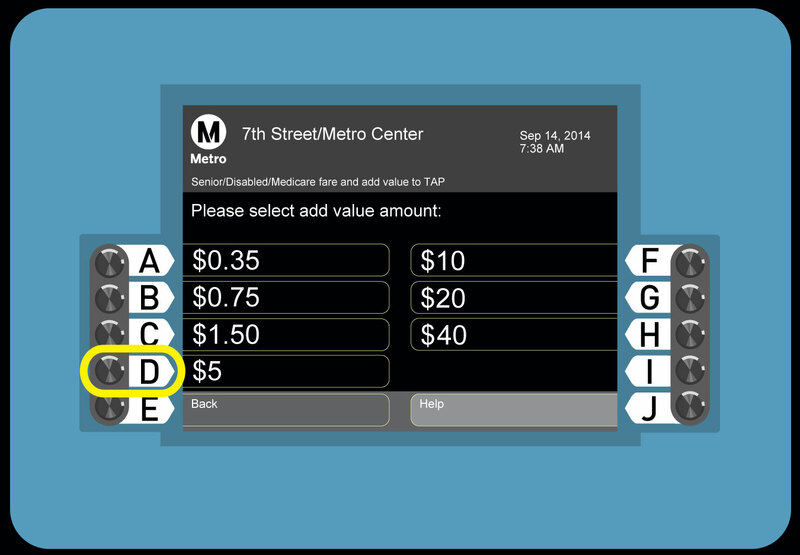 Use Stored Value when you ride occasionally, if your trip includes more than one transit agency, or if you’re a visitor and want flexibility. 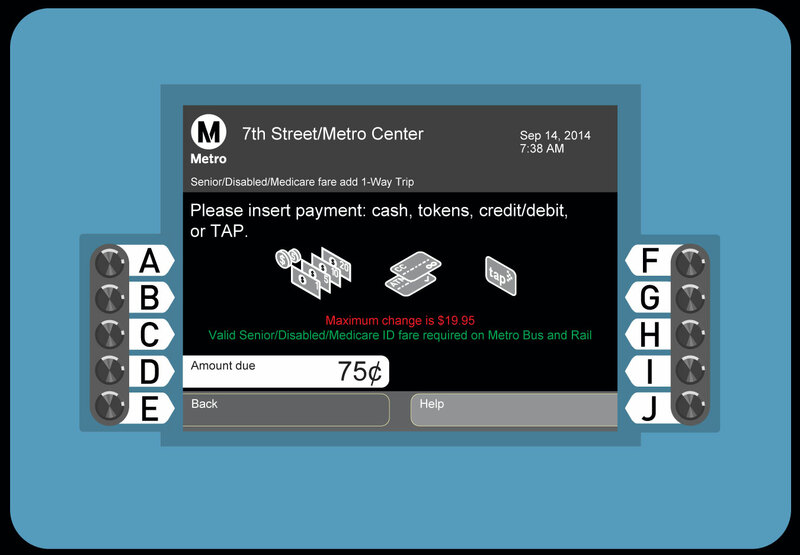 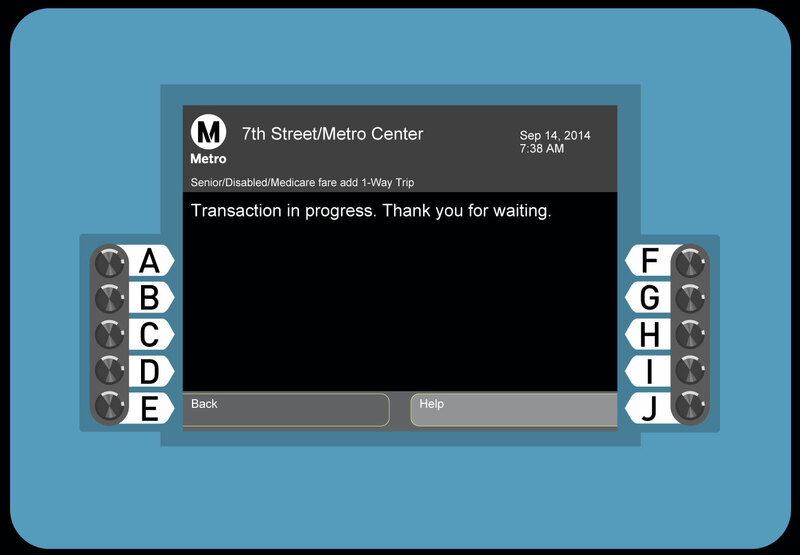 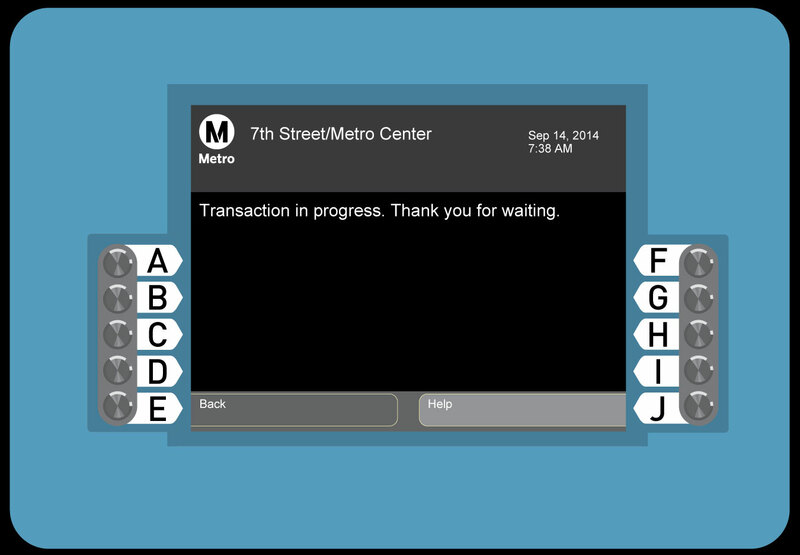 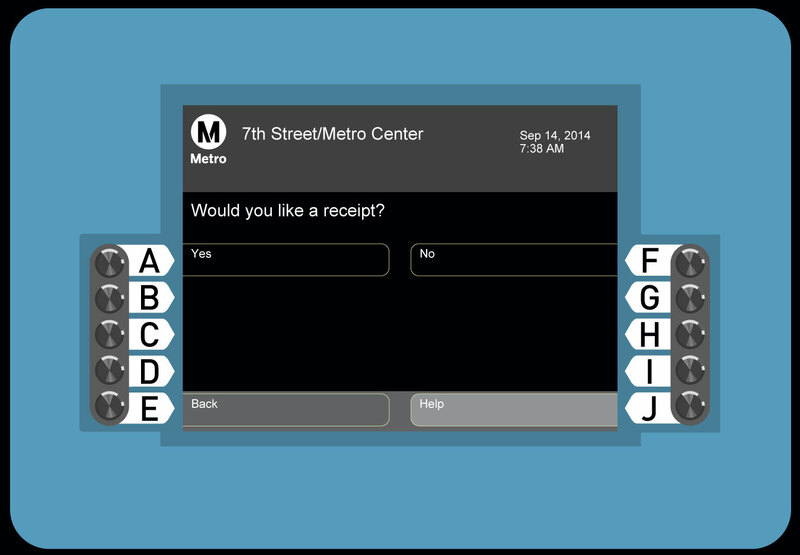 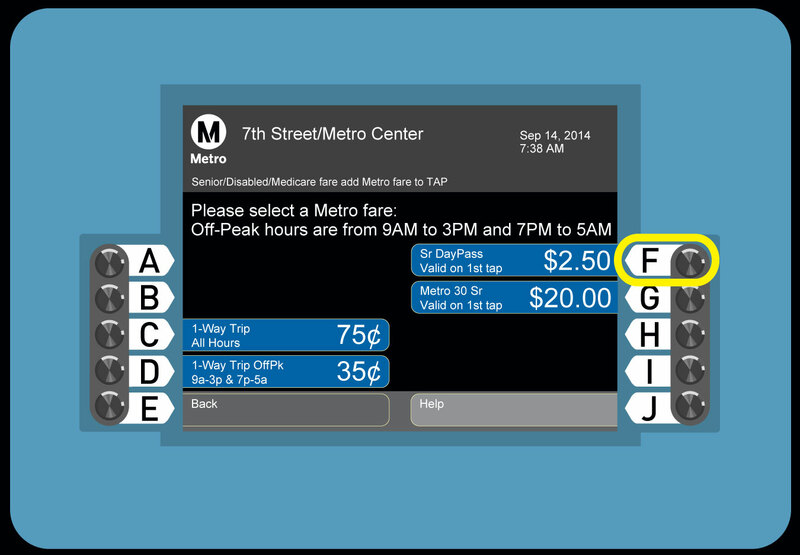 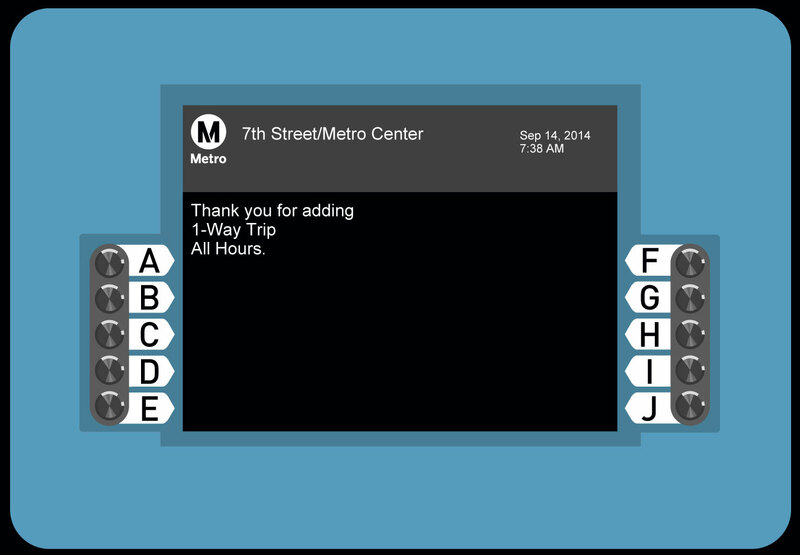 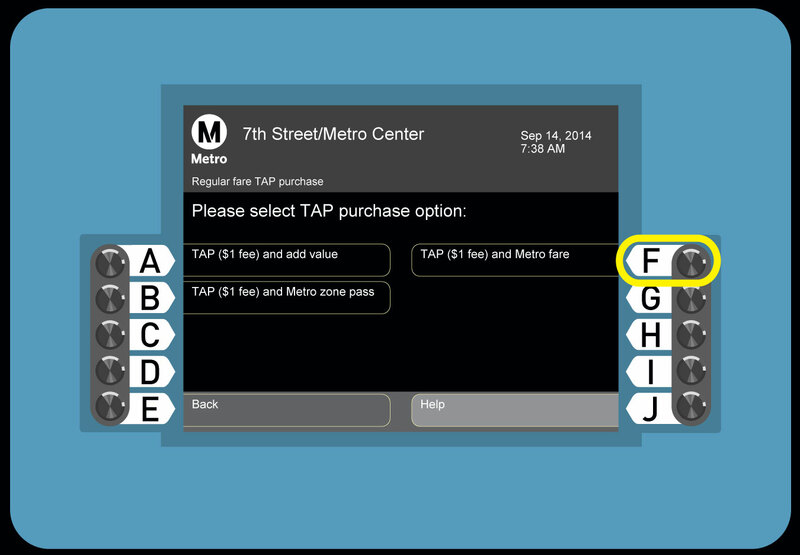 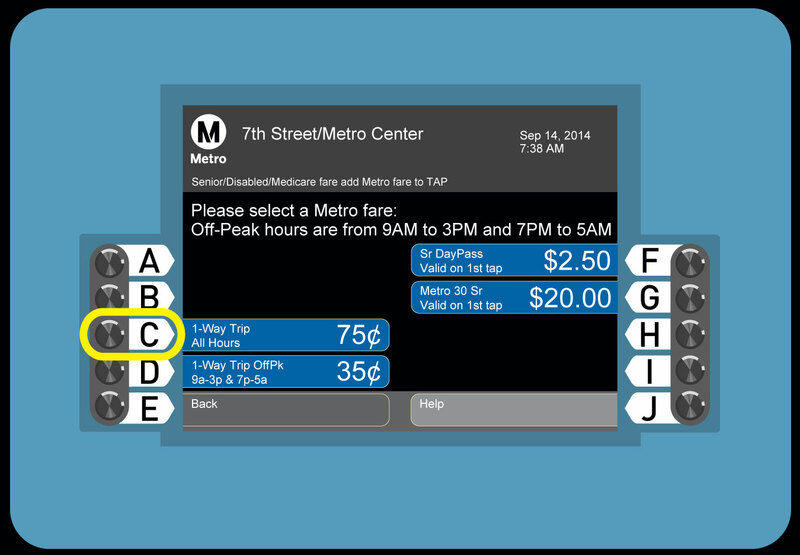 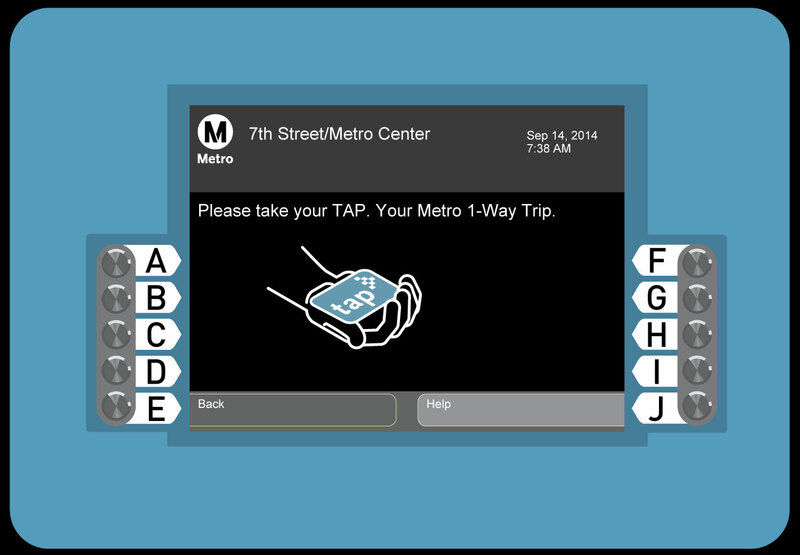 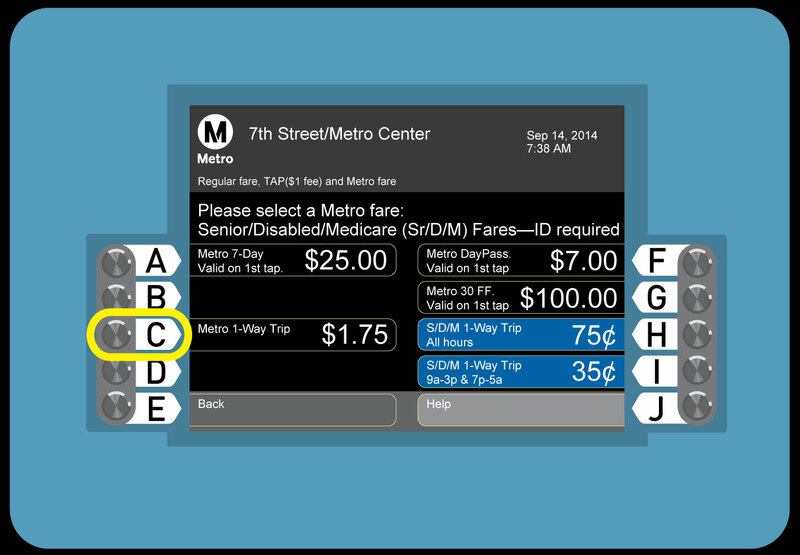 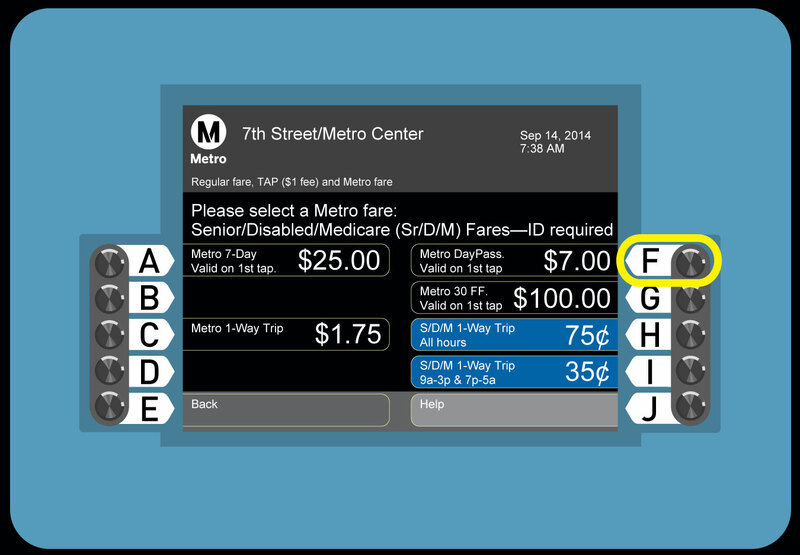 Go to a Metro Customer Center or anywhere TAP cards are sold.